When people disagree about deeply held convictions regarding issues of ethics, extended dialogue can serve as an effective means of communication. The purpose of dialogue is to understand how people come to hold different points of view. If done well, the dialogic/dialectic process builds trust and strengthens relationships among disputants as they develop a deeper comprehension of the logic of the arguments of the varying opposing points of view. In a culture where adversarial argument seems the norm, dialogue is often both misapplied by those who understand its importance or maligned by those who may not have such an appreciation. Without an appreciation for the respect required in gauging where an disputant is “coming from,” many may succumb to adversarial habits of judging, blaming, and defending. The argumentative impulse to win “for winning’s sake” almost always distorts the dialogic process. As a result, the civilized goal of mutual understanding, trust, and relational integrity, may all suffer. The purpose of this paper is to explore the challenging ethical issues that arise in higher education academic classes and how all participants––students, professors, administration, and other professionals––can teach one another how to behave with more dignity, ethics and respect in our use of dialogue to address conflict. 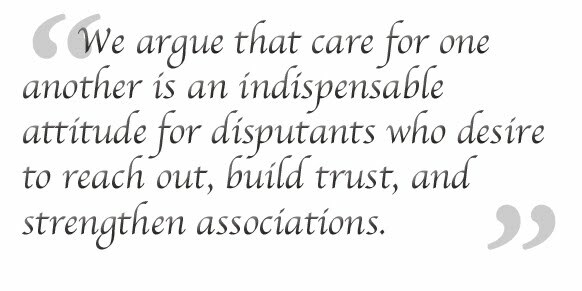 We argue that care for one another is an indispensable attitude for disputants who desire to reach out, build trust, and strengthen associations. We focus on and explore a relatively recent advancement in ethical thinking, the ethics of care. Beginning with a broad presentation of the development of care ethics and its salient features, we then discuss how this approach might inform a general model of ethical decision-making and suggest how it might assist those involved in engaging students in deep conversations about complex, divisive ethical issues. In conclusion, we describe how we would modify the standard problem-solving framework common to most discussions of ethical issues drawing from the ethics of care so as to include relational accountability. The ethics of care is the product of many things, but can be best understood as a product of an era of unrest. During the 1960s, the United States and Europe (and other areas) were alerted that something was amiss in our understanding of ethics by the demands of marginalized groups who claimed that they had been denied access to the benefits of democracy. Socially distinct groups appealed to the liberal conscience of nations as collections of individuals who, as a result of sharing some particular group feature, had been refused what we would now call basic human rights. In the closing years of the twentieth century some political agents embraced a new sensibility toward social criticism, which validated local, historicized, or contextualized moral standpoints (Seidman, 1994, p. 1-21). Feminists, for example, were critical of dominant or mainstream moral and political theories, arguing that these theories failed to recognize the special interests and concerns of women. Dominant philosophical theories such as deontology, utilitarianism, or virtue ethics, feminists contended, characterized all moral problems as if they were conflicts between independent, autonomous, rational individuals. These theories scorned the ties that we have developed with others––ties they argued that constitute our identity. These theories overlooked the reality of human dependence and interdependence. Moreover, feminists were thoughtful about the notion that emotion might serve as an important factor in making ethical decisions (Held, 2006, p. 12). While liberal social and political theorists such as Hobbes, Locke, and Rawls began their theorizing on the principle that people are freely-choosing, independent, rational selves when making moral decisions in a hypothetical state of nature; in contrast, Daniel Engster in his book The Heart of Justice: Care Ethics and Political Theory, maintained that, “Care theory roots our moral obligations to others in our empirically verifiable dependence upon others and others depending on us” (Engster, 2007, p. 51). For Hobbes et al, the “state of nature” represented the human condition outside of society (Hobbes, 1968. p. 183-216; Locke, 1983, p. 8-13; Rawls, 1971, p. 11-12). However, care theory, Engster writes, “Begins with people already in society and dependent on one another for their survival, development, and functioning, and highlights the unchosen obligations we have to each other by virtue of our interdependency” (Engster, 2007, p. 5). In Engster’s view, we begin and live out our lives in a web of dependency and caring. He observes, “It is not just that we depend on and probably will depend upon the care of others one day; rather human existence is inextricably implicated in relations of dependency and caring. Even when we are not immediately dependent upon the personal care of some particular individual we still depend upon the care of many others, for our survival and functioning” (2007, p. 43). By endorsing an ethic of care it is not our intent to suggest that all should simply show affection, attentiveness, sympathy, or empathy for others as a way of supporting positive dialogue; nor that ethical decision making is only founded on caring relationships. 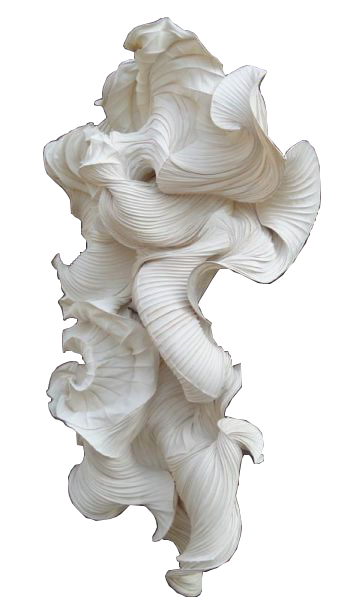 Rather, we insist, that care is important because of what it requires of us, an attention to reality––taking into account our empirically obvious interdependency. Moreover, such an ethic maintains a strong relationship to the dependent reality we find ourselves in and so requires that we step out of our personal frame of reference into that of the other in order to act with the deepest respect for the human condition. Indeed, it is by way of care that individuals afford themselves the opportunity to gain a circumspect, rich, and insightful appreciation of the experiences of others. Nel Noddings writes, “When I am in a caring relationship the others’ reality becomes a real possibility for me” (2003: p. 14). Codes of ethics serve many purposes. One leading ethicist says that not only do they provide guidance related to ethical dilemmas, “They also protect the profession from outside regulation, establish norms related to professions mission and methods, and enunciate standards that can help adjudicate allegations of misconduct” (Reamer, 2006, p. 45). Given those goals, professional codes of ethics in general are influenced by a rights-based approach (which delineates issues from the point of view of the client) or a deontological approach (which emphasizes the duties and obligations of the professional) or both. With varying degrees of specificity, such codes generally contain sets of rules and principles. As we suggest above, the ethics of care comes from an affective stance, where concern for the other is the overarching rule of thumb. But given the highly individualized nature of each situation and relationship, the ethics of care is not a good source or foundation for the kinds of generalizable rules and principles that fill professional codes of ethics. Indeed, care ethicists shun the notion of universal principles that one should adhere to when facing ethical difficulties. List of Examples of the Ethics of Care Common Themes. • an assurance of competence. If the fundamental question in care ethics can be framed as, “How would the cared-for want me to act?” one can see these examples as appropriate responses to that question. The client as the one cared-for would want the human services practitioner to hold her or his interests’ primary, to provide the client with sufficient knowledge about the range of choices available in the situation and the consequence associated with those choices, and so on. But again, these should be viewed as manifestations of a position of caring, that is, examples of what one does when one cares, rather than a set of rigid principles. ● Recognition that a problem (challenge, dilemma, or predicament) exists. ● A definition of the problem, being careful to consider what kind of problem it really is. (For example, one must decide if this is an ethical, a legal, or some other kind of issue (and obviously many situations will have elements of each).) Note that how one defines the problem might suggest how one might approach the resolution of the problem. ● Solution development. In the professional world, this frequently involves reviewing one’s professional code of ethics and the employer’s rules of appropriate conduct. It may also involve obtaining consultation from one’s supervisor or a senior colleague. These resources can help the decision-maker determine the range of possible solutions. Critical to this step is the need to identify the implications or consequences of each possible option. ● The selection or implementation of a course of action. Based on one’s assessment of the possible positive and negative consequences of each defined option, the decision-maker chooses one deemed most likely to be successful. ● Ongoing monitoring of the impact of the decision made, determining if the decision-maker needs to re-initiate the planning process based on what happened with the first effort, including any new information learned. One of the challenges of the standard frameworks is that the guidelines for decision-making seem to narrowly limit the context in which the problem analysis and decision-making are to occur. That is, the decision-maker as a moral agent ponders the variables without regard to the fact that ethical dilemmas invariably involve more than one person and that the decision-maker is the one who defines the questions and considerations. If one takes nothing else from the ethics of care, one should be clear that NOT only one person ‘in total charge’ is the case. We suggest that the ethics of care requires an additional consideration missing (at least explicitly) from common decision-making frameworks (a notable exception being Reamer, 2006). We call this element “relational accountability.” Relational accountability requires the decision-maker to purposefully become aware of the needs, rights, and interests of all those who have a stake in the course of action chosen to address the issue at hand. Adding to the “ethics of care” then, is an appreciation of stakeholder needs, rights, and interests when defining the ethical question and considering the range of available choices and their ramifications in relational accountability. How then would the ethics of care approach, including relational accountability, modify the standard ethical decision-making framework? First, the identified decision-maker must include a step beyond the list (above) of a standard approach for the ethics of care by including the other individuals or groups of individuals (stakeholders) who will feel the impact of the decision to be made. This process may not be as routine as it may first appear. Even drawing up a list of those concerned may prove difficult! Using examples from Held (1998), we suggest that the identified decision-maker must consider not just present but also future stakeholders; and determining those who are concerned in the decision must also include an understanding of the concerns of those who may not be physically present. To help us understand the complexity of ethical decision-making, following are a few examples taken from an undergraduate ethics course. Case A. Students frequently report a dilemma regarding a friend and co-worker stealing merchandise from their employer. Sometimes the friend has an unemployed life partner and/or a sick child or another life situation that raises the student’s compassion for the reasons for the theft. In such cases, clearly the student, the friend, the partner and/or child, and the employer all hold a stake in the decision the student will make regarding the friend’s thievery. But who else has an investment in the outcome of the decision-making process? One group our students frequently do not consider are the other customers who eventually must pay higher costs for the store’s goods because of the pilfering. There may be more stakeholders. Case B. Another dilemma commonly experienced by our students is more personal than professional, but it nonetheless helps illustrate the ethics of care and relational accountability decision process. A number of our students have friends who are unfaithful to their romantic partners. For whatever reason, the unfaithful friend swears our student to secrecy and then tells our student about the lack of fidelity. The student feels obligated to keep the secret (having unwisely sworn to do so prior to knowing what was being committed to), but then also feels a duty to tell the cheated-upon friend the truth about his or her relationship. The stakeholders initially might appear to be clear: (1) the decision-maker him- or her-self and (2 & 3) the two people in the relationship. But surely there are others. The impact of whatever the decision-maker chooses to do will also be felt by the person with whom the cheating was taking place (4), as well as by the other members of the circle of friends in which these people find themselves (5, etc.). There may be issues for extended family members (6, etc.) and others who interact with the circle of friends but who are not members who also will be impacted, not to mention any possible child that might be conceived (7, etc.). 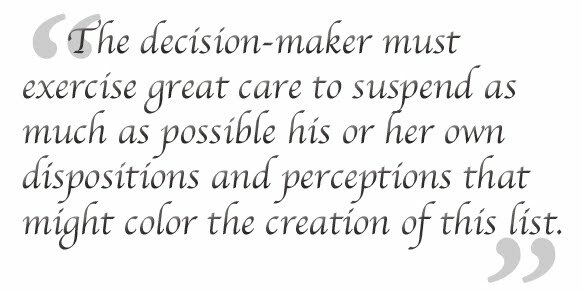 Defining the stakeholders in the outcome of the choices made by the decision-maker is a necessary step in the ethics of care process but is certainly not an easy one. Once one has defined who those stakeholders are, one must go the next step to define, as best as one can, the legitimate interests each has in the decision to be made. We suggest taking an expansive approach to this exercise initially, as one can always reduce the list later. What should be included? We suggest that the rights, duties, needs, and issues of well-being of all stakeholders are all worthy of consideration. It is vitally important to place the “other” (the “one cared for,” to use Noddings’s terminology) in his or her appropriate cultural context as well. The decision-maker must also be realistic. In many cases, he or she will not be well positioned to truly know all pertinent things in any depth about some of the stakeholders (that may be especially true for cultural considerations when the culture of the one cared for differs from that of the one-caring). However, this presents the decision-maker with the opportunity to use her or his moral imagination and empathy, doing his or her best to identify those issues as the person himself or herself would identify them. That is, the decision-maker must exercise great care to suspend as much as possible his or her own dispositions and perceptions that might color the creation of this list. Reconsidering our student’s dilemma involving the unfaithful friend, the student may have very angry feelings about the cheating friend. However legitimate those feelings might be, the decision-maker cannot allow those feelings to affect the empathic consideration of the cheating friend’s legitimate needs in this situation if he or she wishes to make an ethical decision. Finally, as one determines the range of available options and the implications associated with selecting each one, the decision-maker must account for how each option will honor or disregard the rights, duties, needs, interests and well-being of those concerned. The decision-maker at this point is compelled to ask, “Must all relationships be considered on an equal footing?” In other words, while the decision-maker acknowledges an obligation to exercise care for all the legitimate stakeholders, must the decision-maker care for each stakeholder equally? The answer is clearly, “No!” (Noddings, 1984; Tong, 1998). However, if then one is allowed to be partial, on what basis does one exercise that partiality? 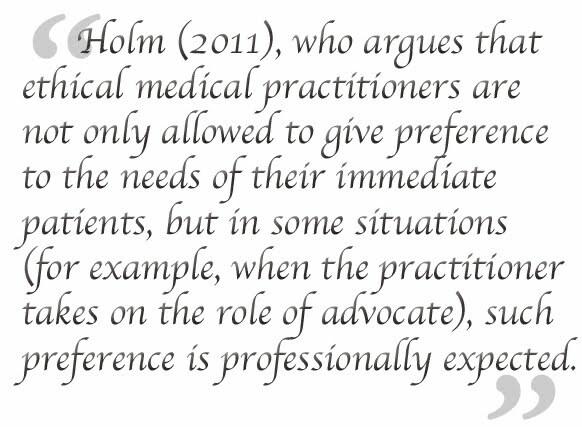 One approach is provided by Holm (2011), who argues that ethical medical practitioners are not only allowed to give preference to the needs of their immediate patients, but in some situations (for example, when the practitioner takes on the role of advocate), such preference is professionally expected. More broadly, this approach is referred to as the principle of proximity. It certainly has some relevance for the ethical situation at hand regarding a friend’s confidence. Noddings herself would, of course, object to any attempt to provide any normative solution to the issue of partiality. Rather, given the subjectivity of each situation, she would rely on the affective intuition of the decision-maker at the time the question is being faced in order to weigh the competing interests appropriately, so as to make the right call. Ultimately, of course, the decision-maker will have to give higher value to the needs and concerns of one stakeholder (or set of stakeholders) over another. We suggest that can be done only when one has done one’s best to identify and accounted for the needs of all the stakeholders. Whereas dialogue often serves as an ethical and effective means of communication, we believe, it is important for ethical decision-makers to not only consider the standard list of concerns of ethical choices, but also to become aware of the needs, rights, and interests of all those who have a stake in an outcome, or course of action; and to give those needs, rights, and interests due consideration when defining the ethical question; and while considering the range of available choices and their stakeholder ramifications. John Berteaux is an Associate Professor of Philosophy at California State University Monterey Bay and correspondence about this article may be emailed to him at jberteaux@csumb.edu. Brian Simmons is the dean of the College of Professional Studies also at California State University Monterey Bay and he may be contacted by telephone at +1 (831) 582-3898. After working several years in public sector social services (primarily in child welfare) and three years as a project director at the Child Welfare Research Center at UC Berkeley, Dr. Simmons arrived at CSUMB in the summer of 1996. He was charged with starting what is now the Collaborative Health & Human Services major. After coming up through the faculty ranks and serving many years as chair of the Department of Health, Human Services & Public Policy, he was named interim dean of the College in August 2007 and was appointed to the permanent position in June 2008. 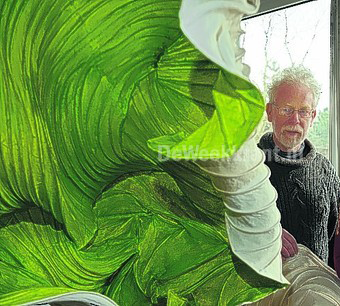 Prior to coming to CSUMB, he also taught at Bakersfield College and UC Davis Extension. His primary areas of interest are in professional ethics, child welfare policy and practice, and social policy. His BA, MSW, and Ph.D. are all in social welfare from the University of California. He currently chairs the Ethics Committee of the California Chapter of the National Association of Social Workers (NASW) and serves as a consultant for the NASW National Ethics Committee. Both Dr. Bertreaux and Dr. Simmons wish to make a special acknowledgement of the work of our colleagues in the CSUMB Ethics Learning Community in the development of some of the concepts in this article. This paper offers an overview of both the history and the current thinking about the ethics of care, especially in relation to an ethics of justice. We describe how we would modify the standard problem-solving framework common to most discussions addressing ethical issues drawing from the ethics of care. We also discuss themes common to codes of ethics that are consistent with the ethics of care, cautioning that ethics of care purists are careful not to suggest universal principles that should always apply when addressing ethical concerns. Finally, we define how relational accountability is important to the entire process of ethical decision-making.